Spring allergies can cause a litany of symptoms, including the ones listed above, but also tooth pain, pressure and sensitivity that can mimic the feeling of having a cavity. The reason for this is the hollow spaces in the face fill with mucus as the body fights off pollen and dust. And, one of the largest facial sinuses, the maxillary sinuses, sits right above the mouth. And you guessed it - just like with a sinus headache, when the pressure builds these sinuses push down on the roots of your upper molars. 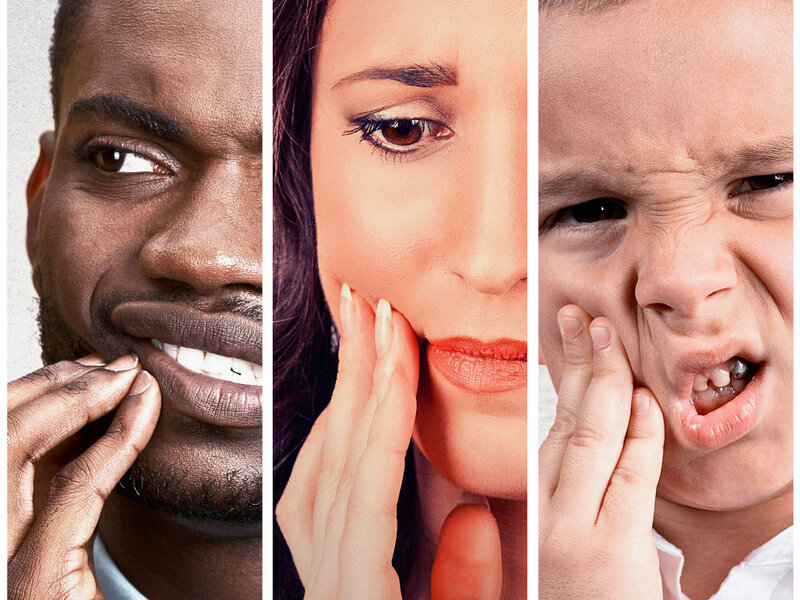 But how do you know for sure if your tooth pain is allergy-related or a cavity? Start by treating your allergy symptoms. Use an over-the-counter antihistamine to provide relief. If your tooth pain goes away, your allergies could be the root of the problem. There are other at-home options to relieve sinus pain as well. For example, gargling with salt water can help draw mucus out of your sinuses, providing relief. Drinking lots of water may have the same effect as it helps flush the body of excess mucus. But if none of these tactics relieve your pain, it’s time to come see us. Our dental office uses the latest technology to take the guesswork out of determining if tooth pain is a cavity or not. We use a cone beam scanner which is a large x-ray machine that uses cone beam computed topography (CBCT), to scan your entire jaw. It gives us a clear, detailed and 3D image that can be rotated, enlarged and highlighted as necessary to help us confirm the best treatment options. This 3D imaging provides us with a far more detailed picture of your mouth than traditional x-rays. Plus, the scan only takes 14 seconds to complete, so we’ll quickly know if you have a cavity that needs to be treated. The cone beam scanner also emits less radiation than a traditional x-ray as it relies on digital imaging. Our Lincoln office uses the Orthophos XG 3D system to provide an exact picture of your entire mouth, giving us a clearer picture of your overall oral health and the best treatment options for your health issues. So is it allergies or a cavity? Dr. Vacek can tell you for sure. Contact us today.